The Street Fighter™ 2 x Naked & Famous Denim: M. Bison "Psycho Power" Selvedge jeans are made from a 15oz Unsanforized Japanese Selvedge denim embodying the persona of the character M. Bison. The denim is rough and full of character, representative of the toughness and dark persona of the character. The denim is indigo dyed on the warp (exterior) and dyed purple on the weft (interior) which represents M. Bison’s infamous “Psycho Power”. The red + black Selvedge ID is symbolic of the characters uniform. 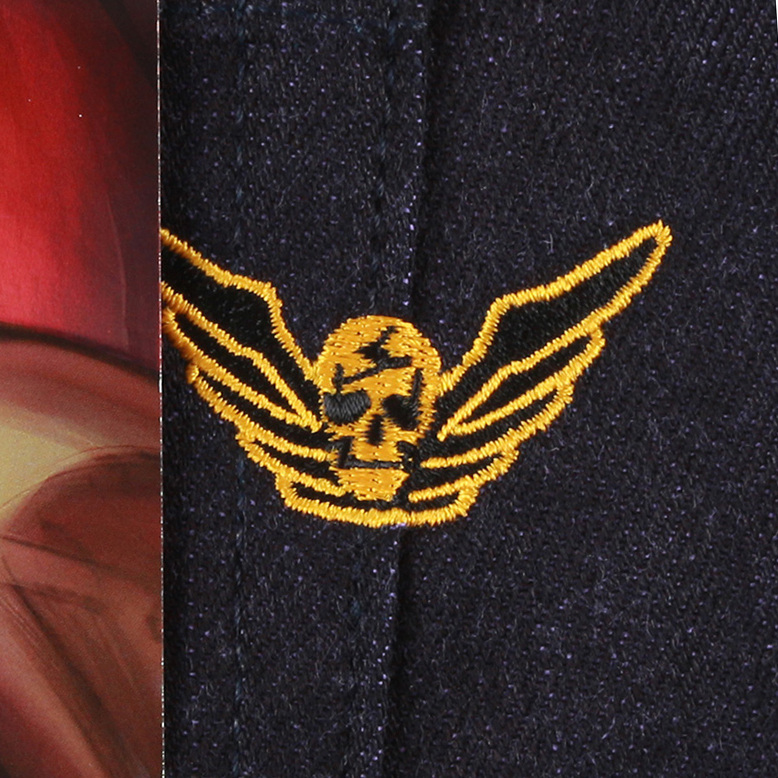 The back pocket embroidery features the Shadaloo insignia, the criminal organization headed by M. Bison. 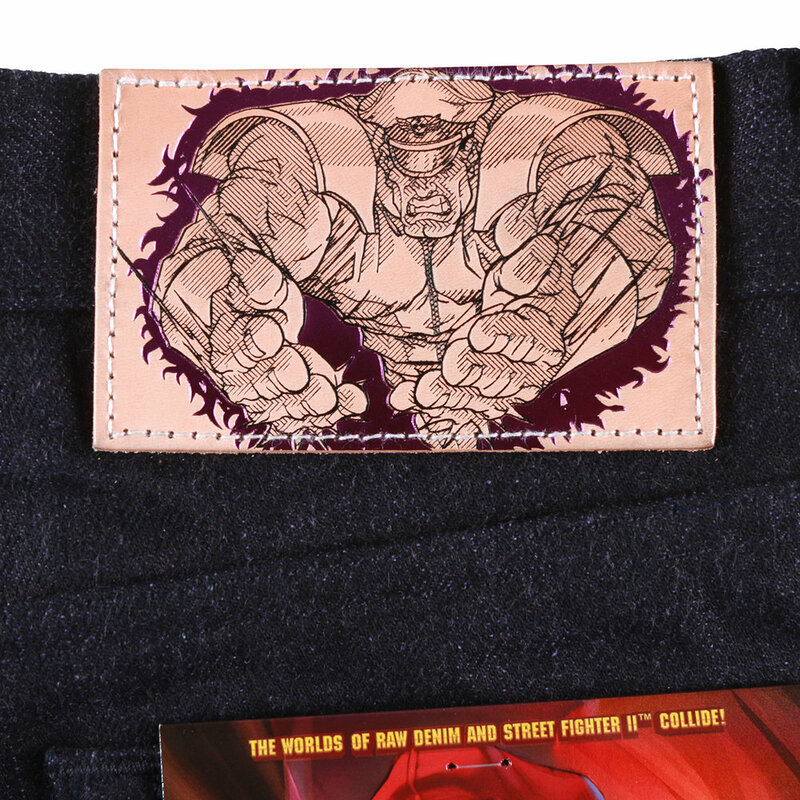 A natural vegetable tan leather patch is sewn on the backside of the jeans and features a highly detailed embossed illustration of M. Bison performing a Psycho Crusher in purple-foil. 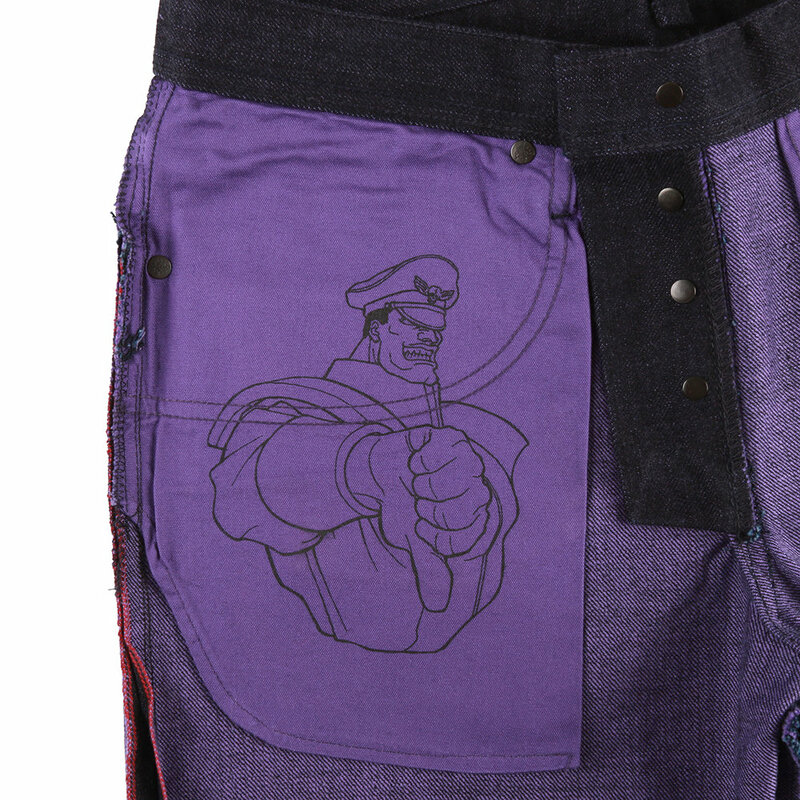 Hidden inside the jeans are purple pocket bags screen-printed with a portrait of M. Bison. Included with each pair is a holofoil pocket flasher featuring eye-catching artwork from Udon Comics.